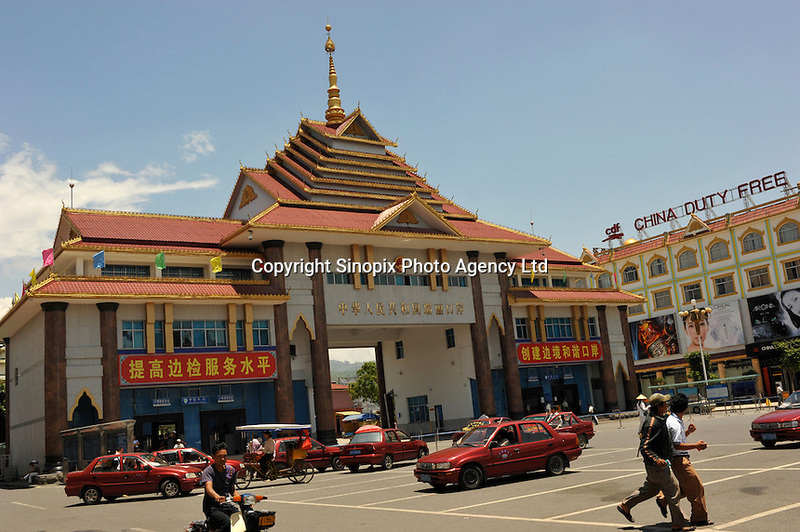 Chinese - Burmese border crossing in Ruili, China. Chinese-Burmese gangs smuggle drugs across the border from Muse, in Burma and smuggle them out of Ruili using drug mules. Synthetic drugs are manufactured in labs in Burma and these dats form the bulk of drugs smuggled....PHOTO BY SINOPIX.